Our Farm Manager Conor O'Malley can be seen early in the mornings heading off to begin another day's planting of our carrots and potatoes for harvesting in July and September. 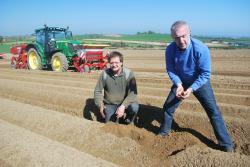 It's a busy time of the year for him and the team of growers, especially given the increasingly unpredictable weather of late. 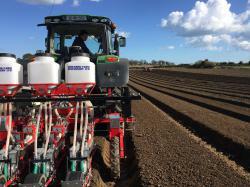 While some of our fields are a short journey for him located as they are here at the farm and food production facility, others require a bit of a journey around Meath and Louth. 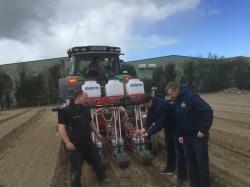 Below are some pictures taken in the first round of planting in Termonfeckin, Clogherhead, Togher and here at the Meade Farm. We are trying some new sustainability initiatives on our farm this year such as using more organic pesticides and fertilisers. Conor has trialled these already and found them to be both sustainable and effective. As part of the Origin Green programme, we are committed to seeking to manage our resources efficiently with a view to preserving the environment for future generations. WISH US LUCK! 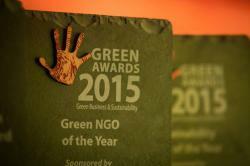 Tonight we are up for two prestigious awards at The Green Awards 2016 - Green Medium Sized Enterprise & Green Food and Drink Award. We'd love to get recognition for all we do to #GoGreen but it's the environment not the trophies that matter ...so, we're winners either way! 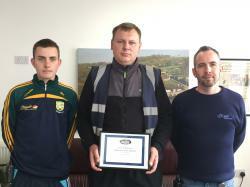 For the sixth year running Meade Potato Co. are proud sponsors of the Meath Intermediate Football Championships. 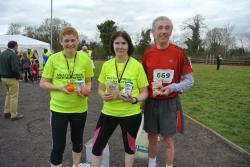 Fulfilling our twin goals of supporting our local communities and encouraging a healthy lifestyle, this sponsorship is a mainstay of the Meade sponsorship programme. Bringing together 18 teams from around the county starting in April and ending in October, the championship offers players, clubs, supporters and communities from Meath a chance to come together for sport and craic over the summer months. The Meath GAA clubs that participate in this championship are vital to their communities in encouraging a healthy lifestyle based on regular exercise, healthy living and nutritious eating. Pictured below are the winners of the 2015 Intermediate Championships, Ratoath GFC. We wish the best of luck to all those involved in the Championships, especially our local club Syddan GFC, pictured below in 2015. 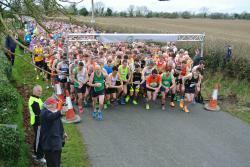 Congrats to all the runners who participated in the Bohermeen AC Spring Half Marathon and 10K - we hope you enjoyed our Clementines at the finish and were able to re-fuel with one of our Rooster baker potatoes later. 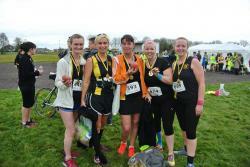 Along with Bord Bia - Irish Food Board, the Irish Farmers' Association and our fellow potato merchants, we are converting runners away from processed pasta back to the all natural potato as the food of choice for runners! 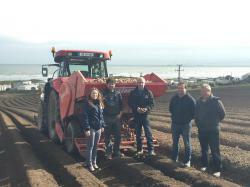 Spring Has Sprung for Our Seaside Spuds: Eleanor Meade, Aidan Kirwan, Robert Devlin, Conor O'Malley, and Owen Kirwan look over the planting of our new Season Queens in Clogherhead, Co. Louth . These should hit the shops in end of June/early July - can't wait! 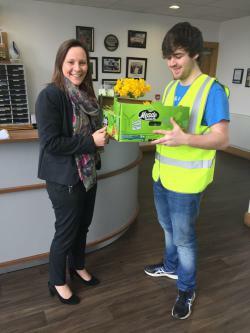 Meade Potato Co. joined with grower Darragh McCullough to ensure that Irish Cancer Society volunteers did not go without their daffodils on Daffodil Day. 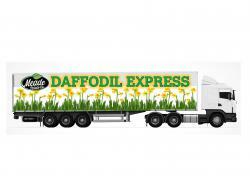 McCullough gave his daffodils to the Society at cost price while Meade Potato Co., along with our partners Matthews Transport, distributed them free of charge at locations around Ireland. 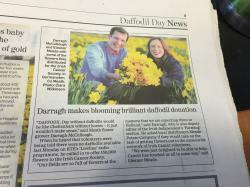 With approx 80 volunteers spread out over Ireland and orders for approx 30,000 bunches, we were flat out in the run up to Daffodil Day. We were happy to help such a worthy cause and the emails and letters of thanks from the brilliant network of volunteers around the country were much appreciated. 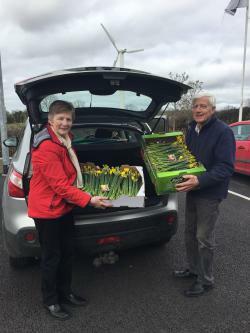 We were delighted to help the volunteers get their fresh daffodils that have always been at the root of fundraising efforts on Daffodil Day. Amazing Potato Recipes Lead the Way Forward as the Spud Takes on Its Competitors! Fighting incorrect myths of being fattening, as well as the multitude of overly-processed readymeals, the potato needs to reclaim the pride of place on the Irish dinner plate. 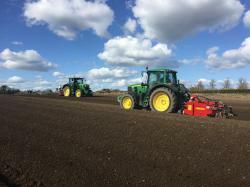 MPC are working hard with our fellow potato producers and Bord Bia to increase potato consumption and show Irish consumers why the potato is so versatile and should remain a mainstay of the Irish diet. One weapon in our arsenal is the newly launched potato.ie website which has an abundance of recipes all designed to show that potatoes are more than a bit on the side, they can be integrated into the main dish of your meal. From Mexico to Russia and all around the globe, there are a wealth of great recipes new and old that make use of the nutritious and delicious potato. Add to that all the new recipes we have developed that incorporate the latest health trends and the question is when and not if you should grab that bag of spuds and get cooking! Enjoy the recipes on these pages, and make sure you also look up www.potato.ie to get even more great ways to make potatoes more than a bit on the side! 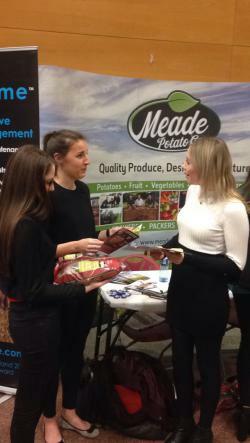 Meade Potato Co. was delighted to meet potential future employees on 24 Feb. at the UCD Agri Science, Food Science and Nutritional Science Fair in Dublin. 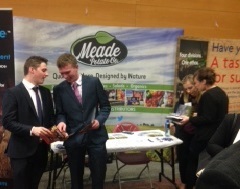 There was an abundance of bright graduates there who want to work in Ireland's thriving agrifood industry, and with our stand there we gave them an insight into the fresh produce industry and our company. Employing over 240 people, and with innovation as a core component of Meade Potato Company's values, we are excited about welcoming some of these new graduates to help us as we continue to pioneer healthy, new products for Irish consumers. If you are a graduate in agri science, food science or nutriional health and would like to hear more about our company, please contact Eileen Hanan of our HR for more inforamtion at eileenhanan@meadepotato.com. 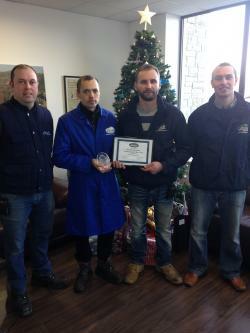 After a busy winter season for Meade Potato Company, we are pleased to announce our 2015 Employees of the Year. 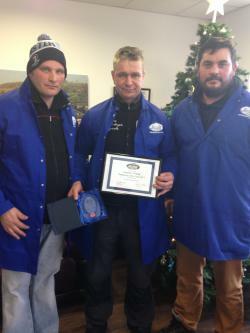 In the Fruit Division Boguslaw Wolloch has won for his amazing workrate and can-do attitude. In the Vegetable Division Aivaras Ramonas has beaten the competition based on his great attention to detail and his ability to problem solve quickly and efficiently when needed. In our Potato Division, Renatas Vaitekunas has won for his industriousness and his dedication to our quality assurance principles. We appreciate the hard work of all our employees, but would like to single out these three employees for their outstanding contributions in 2015. 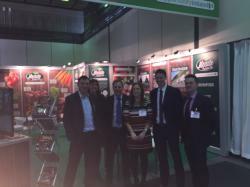 Meade Potato Company was delighted to meet up with our overseas growers from 3rd-6th Feb at Fruit Logistica in Berlin. Fruit Logistica is one of the world's biggest fruit and vegetable trade shows and affords us an opportunity to meet up with our overseas fruit growers to discuss our produce and plan our upcoming crops. 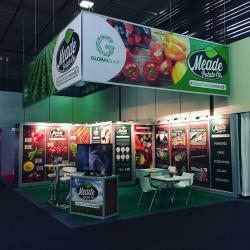 With 25 exhibition halls, many comprising two floors, it is a spectacular celebration of fresh produce. We appreciate the opportunity to meet new growers and discover innovations in the fruit and vegetable industry - and of course, we are proud to be flying the Irish flag in Berlin!